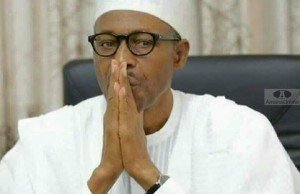 The Oodua Peoples Congress, OPC, has called on President Muhammadu Buhari to intervene on the continued attacks on Yoruba people by Fulani herdsmen in the country. The plea is coming following the killing of Ayodele Ige, Coordinator of OPC in Akure North area of the state, who was securing the farm of the former Secretary to the Government of the Federation, SGF, Chief Olu Falae against incessant invasion by the herdsmen. A statement by its state coordinator, Comrade Ogunsanya Pius, issued in Akure said; ‘’The killing has once again brought to the fore the danger posed by the herdsmen to their peace-loving host communities. “The heartless murder of Ayodele Ige, the coordinator of the OPC in Akure North Local Government Area of Ondo State would not be allowed to be swept under the carpet like many of several other innocent people killed across the country by Fulani herdsmen. “It is particularly worrisome that these people have continued their killing spree across the country without any major condemnation by the Federal Government. “It is even more worrisome that the innocent victims were brutally murdered for daring to challenge the Fulani herdsmen for grazing and destroying their farmlands. “It is strange that the security agencies have found it difficult to put an end to these wicked acts by Fulani herdsmen despite repeated cases of killings and arson against them from all over the country. “Information available to us was that Ige was abducted by the Fulani herdsmen after several of their efforts to enter into Chief Falae’s farm were repelled by our members who have been watching over the farm after the abduction of Chief False by these same people. “The attack by the Fulani herdsmen on the property of a Yoruba leader cannot be allowed to continue. “For us, the killing of one of us is an attack on all of us, much more when that person is a leader. “Let it be known that we have taken this path of peace, not because of cowardice or because of the fear of these people. “We want a peaceful, equitable and united Nigeria, which is the pillar of our struggle. “But we can no longer bear it that the blood and sweat of our people are continually used to appease Nigeria. “The OPC and indeed the entire Yoruba nation can no longer tolerate these acts of gross impunity against our people by Fulani herdsmen.